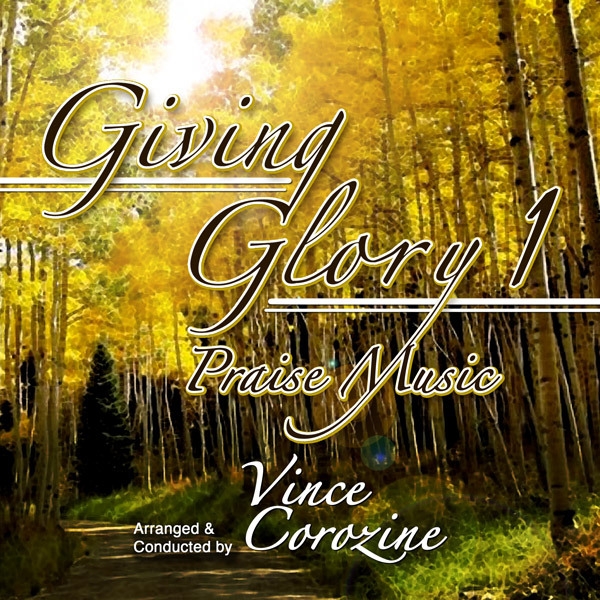 Vince is the music arranger and conductor of the "Giving Glory" project. "Gary Stephens, Director of Youth With a Mission in Hong Kong (YWAM) contacted me and told me that he had seen a production of my original score for a dramatic dance entitled "Toymaker and Son" in New Zealand. He wanted to know if I would be interested in composing an original score for a dramatic dance choreographed by the YWAM missionaries stationed in Hong Kong. He went on to say that "Tribute" would be approximately 40 minutes in length and "Triumph" would be a scaled down version of about eight minutes. Both productions, like "Toymaker and Son" would be used to get the Gospel message out to the people of Asia. Gary is Executive Producer of Praise Music Project, and Director of Youth With a Mission in Hong Kong. Music That Will Lift Your Spirits! Flash is required to listen to samples on this page. Following the recording of "Tribute" and "Triumph" Gary asked if I would consider arranging praise and worship music. We agreed on the song selections and recorded 35 song titles over the next few years, again using members of the Hong Kong Philharmonic Orchestra. All together I made five trips to Hong Kong. "Giving Glory I" is our first venture into the Christian music market. We hope to follow through with "Giving Glory II" and "Mighty Warrior" CDs. God unexpectedly thrust me into a world of music, missions, and memories that will be cherished forever by my family. The integrity of the YWAM missionaries, the professionalism of the symphony musicians, combined with the adventure of travel across the globe, with the allure of Chinese culture made a profound impact on our lives. I trust that this music will uplift your spirits and be a blessing to you and to your family." "A group on individuals in their 20's and 30'sfrom more than 20 nations and a multitude of denomination backgrounds convened in Hong Kong to base their operations throughout Asia. Their main agenda for several weeks was worship of the God that is. He led them in majestic and wonderful extended expressions of praise and worship. Individuals were able to vacate their comfort zones as they focused on our creator through dance, poetry, love letters, acts of service, reading of the Word, and so much more in the midst of these times. Their lives were changed by encountering the Trinity in such a personal and intimate way. The times were rich because God was there. Relationships deepened into lifelong friendships, through the depth of God revealing himself to individuals while surrounded by loving teammates. This wasn't about them but was always about HIM. Content of the songs sun was so important because there is a direct correlation between content and real worship. God is so awesome that eight or more hours a day can exhaust the subject matter. Yea God. Each participant came to experience the joy of Giving Glory the THE maker of all. We pray you too will join in Giving Glory to Him."